International Conference on Language Legislation. 14th March 2018. St Mary’s University, Belfast. 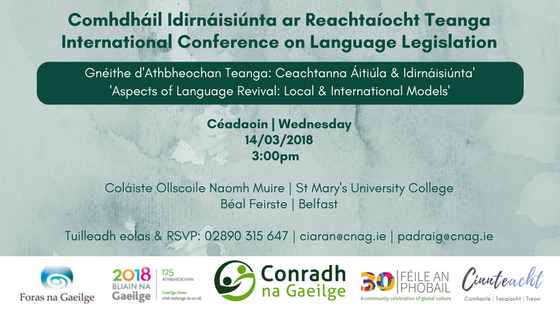 ‘Aspects of Irish Language Revival: Local and International Models’. International Conference on Language Legislation. 14th March 2018. St Mary’s University, Belfast. 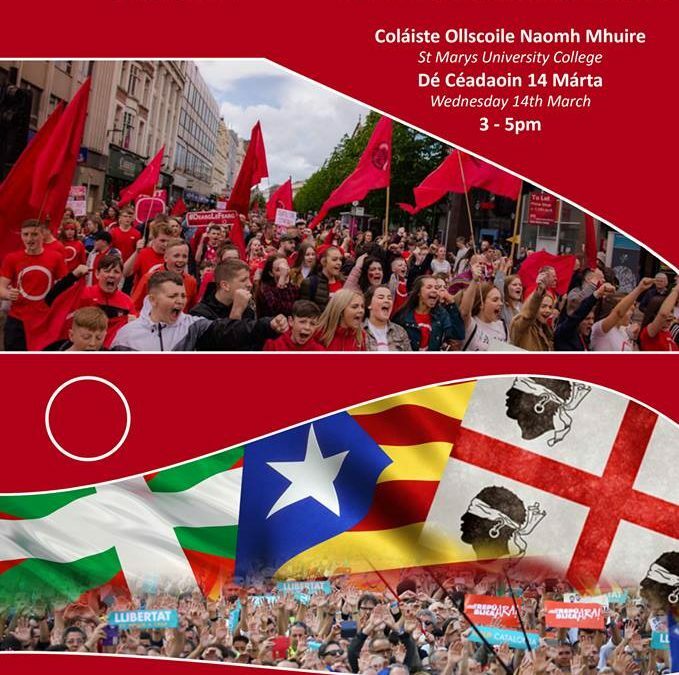 The conference, organised by ELEN members Conradh na Gaeilge, will explore aspects of minoritised language revival – from youth work to education, media and film to legislation. The conference will examine the mechanisms of language revival and the utilization of various methods and means to build awareness of languages, increase number of speakers and develop a coherent and vibrant language community. Looking at best practice from across Europe, the conference will contribute significantly to the ongoing debate about the status of the Irish language in our society and engage the audience in a wider debate, within the broader international context, of rights for Europe’s minorities and what those rights mean for Europe’s regional and minority language users. 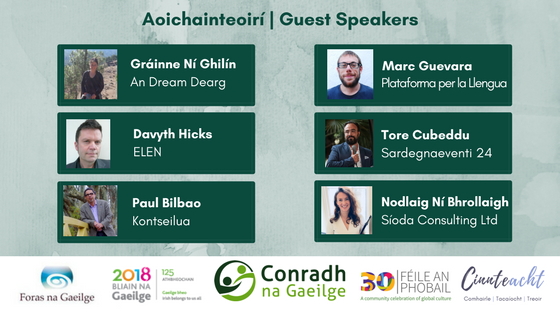 The conference features several speakers from ELEN: Davyth Hicks (Secretary-General), Vice-President Paul Bilbao (Konseilua), Marc Guevara (Plataforma per la Llengua), Tore Cubeddu (Babel Film), hosted by Ciaran Ciarán Mac Giolla Bhéin from CnaG.